By David Urry MRSB, science communicator at The Natural History Museum. The soprano pipistrelle, one of three pipistrelle species in the UK, is named due to the frequency of its echolocation: slightly higher than the closely related common pipistrelle. Although a soprano by name, this bat has little time for serenades, instead using its ultra-high frequency call to accurately pin point, and then ambush, tiny insects in mid-air. The soprano’s high frequency ‘clicks’ were the first bat calls I heard – I won’t forget the excitement caused by the sudden staccato rasps emitted by my bat detector before a dark silhouette swooped into view. The silhouette arced through the sky at impressive speed and impossible angles, while my detector filled with near-constant clicks and calls, as though chirping in delight at the thrill of its dizzying pursuit. It seems an impressive song and dance, but the reality for this tiny bat, barely 4cm long, is that each night is a matter of life and death. As a small warm-blooded animal, with the huge energy demands of flight, pipistrelles must consume enormous numbers of insects to acquire the energy needed to stay alive. 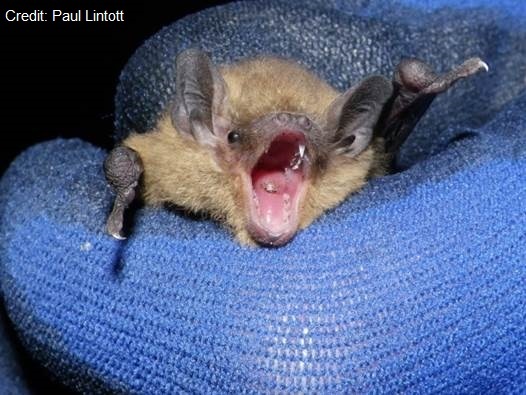 One study estimated that a single bat consumes up to 3,000 midges in an evening! Although it is partly the drama of the soprano pipistrelle’s life that makes it my Favourite UK Mammal, the private lives of bats are most endearing. Pipistrelles are highly social and females are doting mothers, with dependent pups feeding for up to four weeks. Sadly during early summer pups frequently stray from the roost and get lost. I was lucky enough to witness the reunion of a mother and pup once, and the resulting excitement of the pair made clear that the maternal bond is unbelievably strong. This image of bats as caring and sociable creatures contradicts many people’s perception of them as sinister creatures of the night. Although it is fun to enjoy the gothic characterisation that has resulted from this association, discovering the facts behind these complex mammals proves more rewarding than fiction. Sadly the legacy of this association with the ‘dark arts’ continues, underlying public opinion and resulting in continued persecution and a lack of support. I love an underdog, and UK bats are certainly that. They’re sadly misunderstood and greatly threatened. 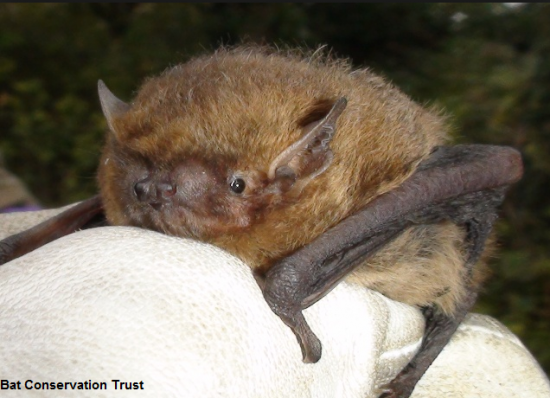 The soprano pipistrelle is one of our most common bats, but even they have declined drastically in recent decades – largely due to changing agricultural practices and loss of mature woodland. Thankfully they are adaptable and have managed to find suitable roosts in man-made buildings. It is therefore only fair that they are tolerated in our urban environments. One way you can help is by doing the very thing that made me love the soprano in the first place: to watch and to listen. The Bat Conservation Trust runs a Bat Monitoring Programme, a citizen science project that mobilises volunteers to record bat numbers yearly, allowing us to understand population trends and gauge the health of threatened bat populations. There are 18 bat species in the UK, nearly a quarter of all UK mammal species, yet most people would struggle to name one species. My interest in bats was sparked by that first encounter with a soprano pipistrelle, but this has led to an appreciation of all UK bat species, each with a distinct personality. I encourage you to get to know them all.